Nestled on the Hualalai volcano slope on the Big Island, Lyman Kona Coffee Farms goes about quietly producing one of the world’s best Kona coffees using only certified organic methods, meticulous handling, and sustainable farming techniques. The care in growing and processing makes Lyman Kona Coffee Farms a stand out among the many, as it received Hawaiian coffee grower’s highest honor. At the Cream of the Crop festival held last November, the Kona Coffee Council (KCC) held a cupping competition and awarded Lyman Farms their Gold Medal, adding to the two silver medals they won in previous years. The cupping competition is held annually in Kona, judged by a group of chefs and is similar to a wine-tasting where judges select the very best. The award is the culmination of years of effort, attention to detail and planning by the owners. The coffee plantation is owned and operated by Marsha Lyman-Eckert and her husband Hans Eckert, a retired professor. Together they have built a sustainable coffee farm, free of poisons, pesticides and herbicides. The farm features solar powered processing equipment, two irrigation systems and a process Certified 100% Organic from seed to cup. Of the 750 or so Kona Coffee farms, only about 40 are that distinguished. “The focus at Lyman Kona Coffee is on quality and not quantity. We are hoping that this award helps get us noticed by the best chefs and the world’s finest restaurants interested in serving their customers one of the best and most memorable cups of coffee” says Dr. Eckert. Lyman Kona Coffee Farms is a Certified Coffee Estate by both Kona Coffee Council and by Kona Coffee Farmers Association. This certification indicates the coffee a s Single Farm Origin Coffee or free of blends that decrease taste and quality. The certification means that one operator controls all phases of production. Their award winning process starts with the picking. The owners bring on a local crew that is paid extra to select only the dark-red ripest cherries. Most farmers have a ratio of 5-6 pounds of coffee cherry to one pound of roasted. At Lyman Farms, 8 pounds of coffee cherry are used to produce one pound of roasted coffee. The farm has over a dozen quality control steps to preserve what’s best in Kona coffee, and to advance only the top percent of beans to the next step. “Kona Coffee is not simply a product. It is a process. What and how you do it is crucial,” says Eckert. The farm’s elevation of 2100’ extends the season from August to July whereas low elevation coffee harvesting starts in August and is finished by February. This additional yield provides a year round consistency and allows extra harvests for the highly selective process to improve the quality. The Farm offers perfect growing conditions, including well drained mineral-rich lava soil, plenty of moisture during certain times, and a dormant period (shorter days, cooler nights). Combining the harvesting process with the perfect terroir delivers the award winning taste of Kona’s Arabica coffee. Nowhere else on earth does the distinctive volcanic soil mix with the ever-present Hawaiian sunshine, dowsing rain and temperature to create an environment so perfect for growing one of the world’s most sophisticated coffees. It was a scorching hot summer day at the 1904 World’s Fair in St. Louis and festival attendees were uninterested in the hot tea that Richard Blechynden was serving. Attempting to salvage the day, he poured his brewed tea over ice, and the quintessential English tradition of “taking tea” was forever changed. Crediting the “invention” of iced tea to Richard Blechynden is the subject of great debate, but all might agree that his efforts helped to popularize this most refreshing and delicious elixir. In the southern U.S. they make sweet tea, in Thailand it is called cha yen, and in Austria the refreshing drink is called “ice” tea, rather than “iced” tea. No matter what you call it, iced tea is a satisfying and refreshing beverage enjoyed the world over. The oldest known recipe for sweet ice tea was published in 1879 in a community cookbook called Housekeeping in Old Virginia, by Marion Cabell Tyree. This recipe calls for green tea. In fact, most sweet tea consumed during this time period was green tea. However, during World War II, the major sources of green tea were cut off from the United States, leaving consumers with tea almost exclusively from British-controlled India. Today, if you ask for an “Arnold Palmer” you will be served a mix of iced tea and lemonade. It is named after its creator, golf legend, Arnold Palmer. “Texas tea” in the Beverly Hillbilly’s theme song refers to oil--nothing to do with tea at all. In 2003 Georgia state representative John Noel tried to pass a house bill making it mandatory for all restaurants to serve sweet tea. Mr. Noel insists it was an April Fools' Day joke but admits he wouldn’t mind if it became law. 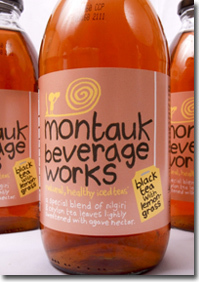 The famous “long island iced tea” drink doesn’t contain any tea. It has been more than 100 years since Blechynden’s cool idea and iced tea remains one of the America’s most beloved beverages. Rainforest Alliance Certified™ farms in Colombia, Ethiopia, Honduras, El Salvador, India, Mexico and Guatemala earned top marks at the Rainforest Alliance’s spring Cupping for Quality event. The results were announced the recent annual Rainforest Alliance Sustainable Coffee Breakfast at the Specialty Coffee Association of America’s (S CAA’s) annual tradeshow in Houston, Texas. A total of 76 samples from 10 origins were submitted to the spring cupping event, which took place at the InterContinental Exchange Grading Room in New York City in early April. A panel of expert cuppers, representing a combined 150 years of experience in the coffee industry, participated in the two-and-half-day event. The samples were prepared by Marty Curtis of Combustion Systems Sales & Service, and cuppers used a cutting-edge iPod app—developed specifically to reduce paper use during coffee grading—to record their scores. The highest score—89 point—went to the Aguadas group from Colombia. Located in the Andean rainforest in the north of the country, the group has over 4400 acres (1800 hectares) under certification, at an altitude of over 6800 feet (2100 meters). For the first time in the history of the Rainforest Alliance Cupping, all of the samples scored above 80, the threshold for specialty coffee. Fourteen samples achieved scores of 85 or higher—an indication that sustainable farming practices can contribute to the production of high-quality c offee. Rainforest Alliance certification requires the implementation of strict criteria covering best social and environmental farm management practices. In an effort to link sustainable farming with cup quality, the Rainforest Alliance developed its Cupping for Quality program in 2003. In 2010, more than 219,000 metric tons of coffee was produced on Rainforest Alliance Certified farms, an increase of 30 percent over 2009. Coffee from Rainforest Alliance Certified farms now represents an estimated 2.5 percent of the global market. To learn more about Rainforest Alliance Certified™ coffee farms and how certification benefits coffee farming communities, visit www.sealyourcup.org or www.rainforest-alliance.org. Honest Tea®, the nation's top-selling organic bottled tea company, introduces Honest CocoaNova, a new line of low-calorie brewed cocoa beverages. This brewed cacao infusion contains antioxidants and theobromine naturally found in dark chocolate. Made with USDA Certified Organic and Fair Trade Certified™ cacao beans, the main ingredient in chocolate, Honest CocoaNova provides a light, satisfying taste for a guilt-free treat with only 50 calories in a 10 fl. oz. bottle. Hon est CocoaNova contains approximately 50mg of theobromine per bottle. The Fair Trade, organic cacao beans are roasted and ground into a natural cocoa powder, which is then brewed through a patent-pending process to create Honest CocoaNova. “Everyone has tasted cocoa, but Honest CocoaNova is cocoa as you’ve never known it. It has a rich, satisfying flavor with only 50 calories per bottle,” said Seth Goldman, President and TeaEO of Honest Tea. “We’ve been working on this concept since 2006 and can’t wait to see how consumers respond.” Honest CocoaNova is available in three varieties, Mint Cacao, Mocha Cacao and Cherry Cacao at a suggested retail price of $1.99 at select natural foods stores beginning in April 2011. The drink has 13 grams of sugar and 50 calories per 10 fl. oz. serving. Honest CocoaNova labels display the CocoaSource™ mark developed and licensed by Apure Foods. CocoaSource™ denotes the antioxidant power naturally found in cocoa. For more information, visit http://www.honesttea.com. We’re talking gourmet,home-brewed iced tea, just perfect for summer. With the help of Chri s Cason, the Tea Sommelier at Tavalon, you can now create perfect iced tea at home with pre-measured tea sachets. No more mess or measuring, the pre-packaged perfectly portioned tea sachets make enough tea to fill your 2qt. container. 5 sachet bulk bags (each makes 2 qts.) $16 at www.tavalon.com. Crimson Punch: A sugar free, tangy fruit blend with blood orange, apple, cranberry. cherry and hibiscus flowers. NYC Breakfast: Bright, peppery, malty…A hearty blend of the world's best black teas from India, Sri Lanka and Indonesia created for the New Yorker palate. Peachy Oolong: A deep, dark Formosa Oolong tea from Taiwan sweetened with peach pieces and sunflowers. Serenity: A relaxing caffeine-free herbal blend consisting of chamomile, peppermint, lemongrass, rooibos and vanilla. Summer Fruits: the health benefits of green tea combine with a soft fruit flavor for an instant classic. Tropical Peony: A fun, flavorful Pai Mu Tan white tea with the tropical overtones of pineapple bits, coconut shavings & rose petal.